The INA126 is a precision instrumentation amplifier for accurate, low noise differential signal acquisition. Their two-op-amp design provides excellent performance with very low quiescent current (175µ A/channel). This, combined with a wide operating voltage range of ± 1.35V to ± 18V, makes them ideal for portable instrumentation and data acquisition systems. · LOW QUIESCENT CURRENT: 175µ A/chan. 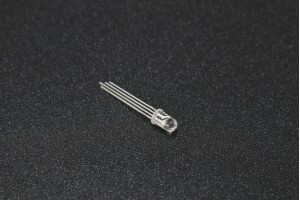 Detail about IR transmitterAn infrared emitter, or IR emitter, is a source of light energy in the i..